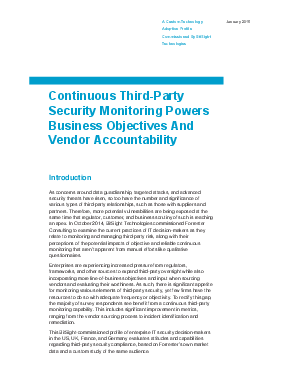 As cyber attacks through third parties become more commonplace, IT decision makers have focused much of their energy on the cyber security of their vendors. It can be a challenge to manage so many partnerships. Due to the desire for more data-driven decisions, IT professionals are looking for an automated solution to scale security performance management efforts. The disconnect between the desire for continuous monitoring and the types of tools currently used to gather data.